Arabic is the official language of Bahrain, although English is also spoken widely across the country. Bahrain is an island country linked to Saudi Arabia by the 16-mile King Fahd Causeway, and is the third smallest country in Asia, covering an area of approximately 301 square miles. The country has a population of 1.2 million people, including over 665,000 non-nationals. The majority of the population in Bahrain is Middle Eastern, with a sizable number from South Asia. The population is ethnically diverse, comprising mainly of Shia Bahraini and Sunni Bahraini, which are further divided into several sub-ethnic groups. The Arabic language, which is widely spoken in the country, is also the official language. English is also spoken widely alongside a variety of other languages. 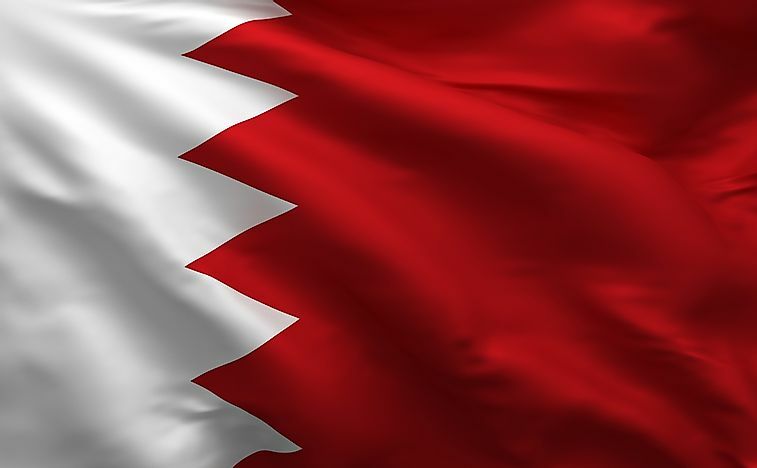 Like most Arabic-speaking countries, the official language of Bahrain is Arabic. Most government communications are in Arabic, while some documents are translated into English when the targeted audience is non-Arabic speakers. Arabic is spoken in two main variations in Bahrain: Bahrani and Gulf Arabic. The Arabic language plays an important role in the country’s politics. For instance, one must be fluent in Arabic to run for a parliamentary seat. A mixture of classic Arabic and Modern Standard Arabic, mixed with local dialect known as Bahrani Arabic, is popularly spoken in Bahrain. Bahrani Arabic is mainly spoken in the capital Manama and by some Bahraini villages. It is the de facto national language and the first language taught in secondary schools in Bahrain. Bahrani speech is made up of several dialects and accents including Muharraq and Sitra. There is also dialect variation between urban Bahrani speakers and those in the rural areas. Gulf Arabic is a minority language in Bahrain, spoken by less than 5% of the country’s population. There are several non-Arabic speaking expatriates living in Bahrain. The presence of a large expatriate community and the need to adopt a foreign language in the country has led to the use of English language as an alternative language. The English language is the de facto national working and primary business language. It is a compulsory second language in most of the schools in Bahrain. Also, several newspapers are issued in English, as well as several TV channels and radio broadcasts. Commercial road signs all over the country are bilingual, displayed both in English and Arabic. The Persian language is still actively used by mainly the Persian immigrants who have a long history in Bahrain. It is a Western Iranian language with three modern varieties spoken in the country: western Persian, Dari, and Tajik. The varieties are based on classic Persian literature and traditions. The Persian communities in Bahrain are commonly referred to as the Ajam. They are mostly bilingual, with Persian as the first language and Arabic second. The Persian language has had a major influence on Bahrani Arabic, with the indigenous Bahrani dialect borrowing many words from the Persian language. Most of the minority languages spoken in Bahrain have little significance on the Bahraini social life and culture, and are only relevant in societies in which several ethnic groups form parallel societies. Pakistani population in Bahrain mainly speaks the Urdu language, while the Nepalese workers and Gurkha soldiers widely speak Nepali. The Indian communities in the country speak Malayalam, Tamil, or Hindi.